Stockpiles of fantastic shows this weekend. Get out on the town and support our blossoming scene! Time to plan some spring time jams with plenty of shows on four twenty! 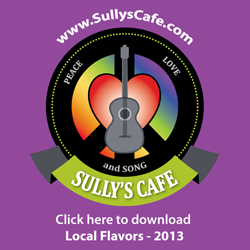 Sully’s Cafe’s 5th anniversary is this weekend, you better get out on the town and rock down! Spring forth onto town and catch some of these fantastic bills this weekend!